You can be a responsible traveler while on vacation in Namibia. The Asco Car Hire Trust was established to promote sustainable tourism. We support projects and organisations that implement sustainable practices in the Namibian environment and tourism sector. Help us keep Namibia beautiful and safe for our endangered wildlife by supporting our projects. The Asco Car Hire Trust also supports the AfriCat Foundation through which we have adopted a leopard! Adopted leopards and cheetahs are monitored as part of the AfriCat Predator and Prey Population Density Study at the Okonjima Nature Reserve (50km south of Otjiwarongo). The leopard is classified as “Near Threatened” according to the IUCN Red List of Threatened Species. Despite their wide distribution throughout sub-Saharan Africa, they are declining dramatically in numbers and have disappeared from approximately 36.7% of their historical range due to habitat fragmentation as well as intense persecution by humans. Nanofasa operates in the traditional area of the Ju / ‘Hoan San or Bushmen (as they are commonly known in Namibia). The San are considered the oldest cultures in the world as they are the first hunters and gatherers but now living in extreme poverty. They have been expelled from their original land, which is increasingly used for illegal grazing livestock, so that the San can no longer survive in their traditional way of life. Nanofasa is committed to the San and helps the San maintain their natural lifestyle. 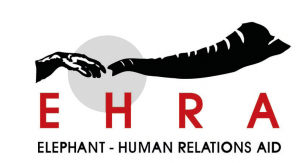 Asco is a proud supporter of the PEACE Project a community-based education program run by the Elephant-Human Relations Aid (EHRA). PEACE, an acronym for ‘People and Elephants Amicably Co-Existing’, focuses on people living in communal areas in the southern Kunene and northern Erongo Regions where many of the desert-dwelling elephants live. The project helps people live with their elephant neighbors and to decrease conflict through education, raising awareness, and promoting ventures to enhance their livelihoods. It features two-day seminars for all residents, including students, lodge employees, chiefs, headmen, conservancy members, officers and game guards. The PEACE Project receives no funding from either the government or EHRA’s operations budget; it depends solely on donations and grants. Asco has donated equipment including a refrigerator, camping chairs, and full crockery and cutlery set for use during the seminars. It’s easy to contribute to the Asco Car Hire Trust – just let us know how much you want to donate and we will add it to your rental fee. Your support will help us to continue doing our part in maintaining a beautiful and safe country for its natural inhabitants and visitors alike.